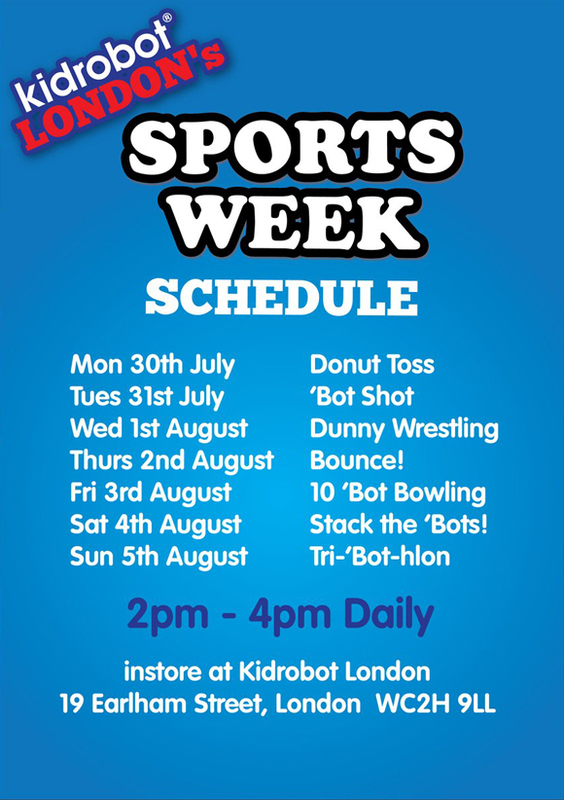 Come one, come all and celebrate Sports Week at Kidrobot London, July 30 – August 5. Get in the Olympic spirit and join us for in-store games everyday this week. Try your hand at the Donut Toss, ‘Bot Show, Dunny Wrestling, Bounce!, 10’Bot Bowling, Stack the ‘Bots and Tri-‘Bot-hlon and win some really neat discounts and prizes. Even though you may have missed out today, you can get in on the action everyday this week from 2-4pm through Sunday. 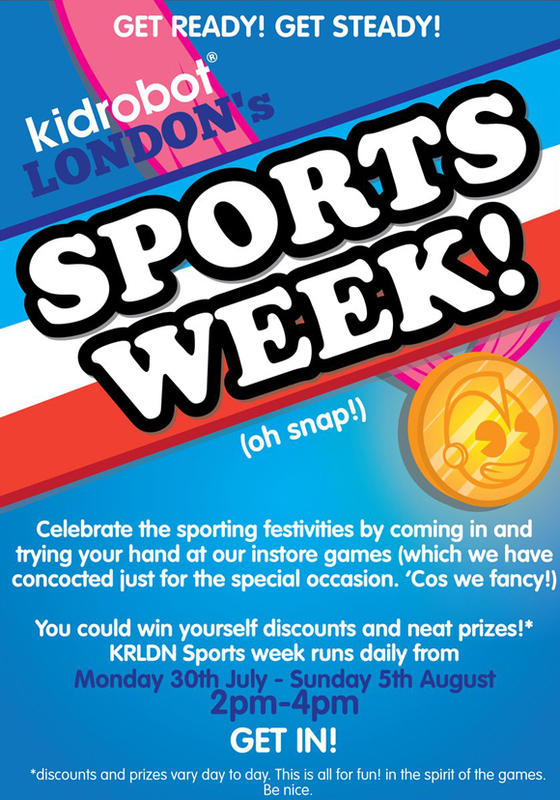 The post Get In The Action – Sports Week At KRLDN appeared first on Kidrobot Blog.